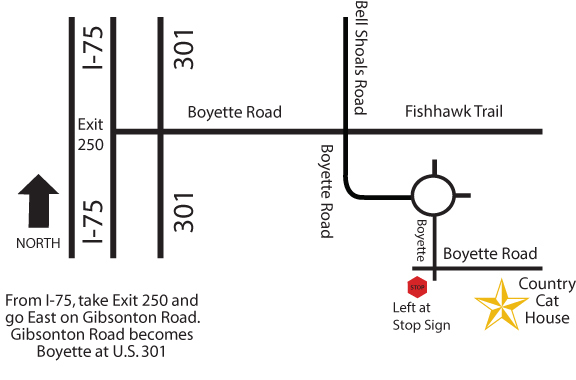 Drive South on 301 to the 301 and Boyette intersection, Turn Left onto Boyette, Drive 3.4 miles to the intersection of Boyette and Bell Shoals Road, Turn Right. Go two miles (In the circle, take the first right turn) A Country Cat House is on your right. Look for the large sign on the split rail fence and turn right. Go down the country lane until you see the facility, go in the office door on the right. WELCOME!. 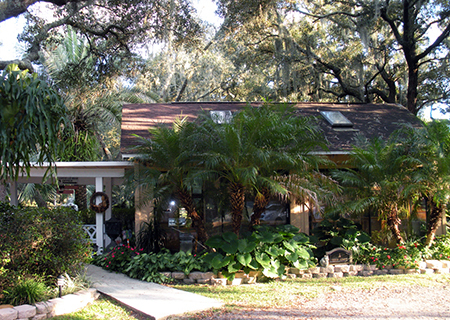 Drive North on 301 to the 301 and Boyette intersection, Turn Left onto Boyette, Drive 3.4 miles to the intersection of Boyette and Bell Shoals Road, Turn Right. Go two miles (In the circle, take the first right turn) A Country Cat House is on your right. Look for the large sign on the split rail fence and turn right. Go down the country lane until you see the facility, go in the office door on the right. WELCOME!. Go to the intersection of Boyette and Bell Shoals Road, Turn Left. Go two miles (In the circle, take the first right turn) A Country Cat House is on your right. 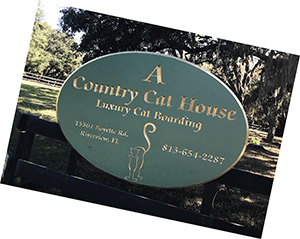 Look for the large sign on the split rail fence and turn right. Go down the country lane until you see the facility, go in the office door on the right. WELCOME!.